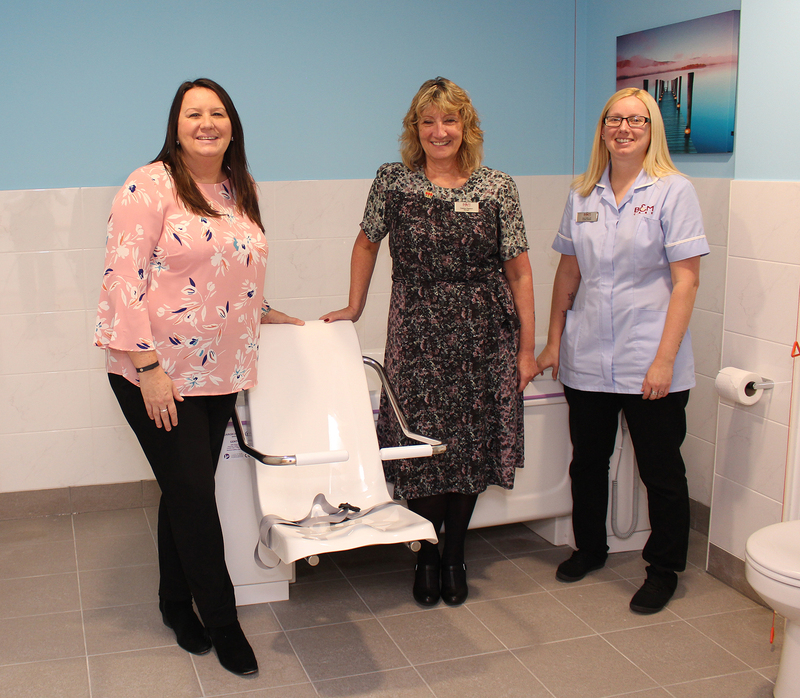 Four accessible Gentona baths from Gainsborough Specialist Bathing have been installed at the recently opened St Brendans Care Home in Crowthorne, Surrey, so B&M Care can enhance its quality care provision. One of 25 homes operated by B&M Care, St Brendans offers state-of-the-art care predominantly for residents with low and high level dementia. It is a 62-bed home with en-suite bedrooms and fully accessible communal bathrooms each containing a hi-lo Gentona bath with powered bather transfer seat. B&M Care selected Gainsborough baths as they are a proven and economically efficient solution for safe accessible bathing – trusted to protect carers against musculoskeletal injury and increase safety for semi-ambulant bathers. In addition to client dignity and commercial efficiencies, infection control is a top priority within all care facilities. This is another reason why B&M Care selected the Gentona bath as it includes BioCote anti-microbial technology. Integrated during the manufacturing process, BioCote provides 99.99% protection against Influenza H1N1, E.coli, Salmonella and antibiotic resistant ‘Superbugs’ such as CRO, CRE, VRE and MRSA. BioCote is a highly established solution developed over 20 years however inclusion in an assisted bath is a world’s first. This pioneering technology, which cannot be worn off or wiped away, significantly reduces the risk of resident and carer illness.